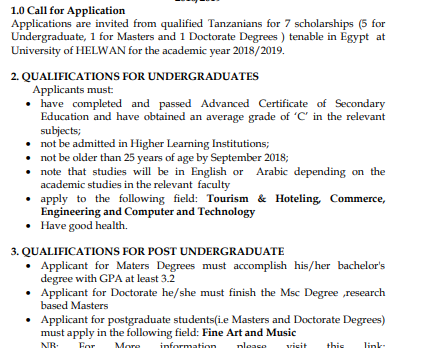 Applications are invited from qualified Tanzanians for 7 scholarships (5 for Undergraduate, 1 for Masters and 1 Doctorate Degrees ) tenable in Egypt at University of HELWAN for the academic year 2018/2019. P.O. Box 6562, DAR ES SALAAM. 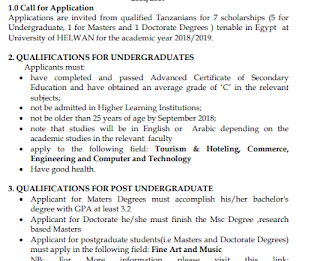 so as to reach him not later than 16th September, 2018.